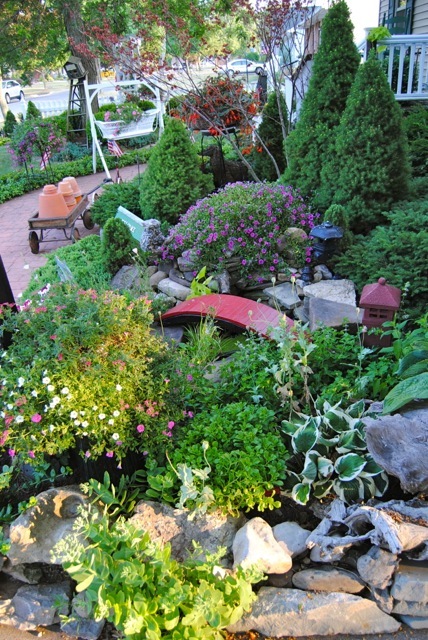 The DiMino Garden on Sharon Drive in Lockport. 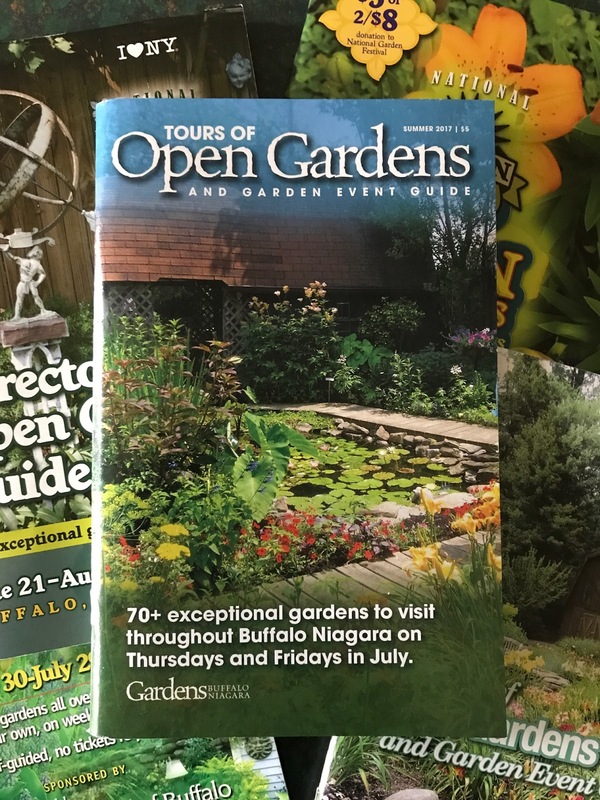 In its sixth year, Gardens Buffalo Niagara's Tours of Open Gardens is proving to be more popular than ever, based on directory sales. Exceptional, creative residential gardens are open for for select hours on Thursdays and Fridays in the month of July throughout the region. This is unlike any tour you've ever been on. These magazine-worthy gardens (no really, many have been featured in national publications!) are a delight. 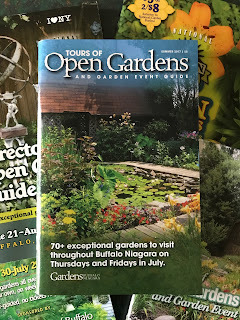 And this tour is unique in the U.S.
All you need is an Open Gardens Guide, available at garden centers and other retail locations (list below, and here.). 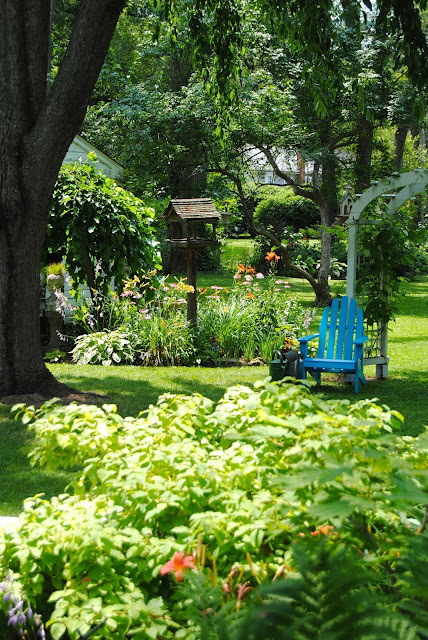 There are more than 70 gardens spread throughout Erie and Niagara counties, and each is open on a Thursday or Friday throughout the month. A few are open Thursdays and Fridays. You can visit at your own pace, there will be no crowds, if you tour during the day, it's a lovely time to lunch and tour the different neighborhoods. Some gardens are open into the evening hours – as late as 10pm, so you can enjoy the garden at twilight. And you great all this for a $5 donation. I know! That barely covers the cost of the full-color, 90-page booklet filled with garden photos, descriptions, maps, estimated travel times, suggested routes, and listings of all the summer weekend garden tours, educational workshops and classes, and specialty-garden themed tours. I think we're crazy to charge such a low price. 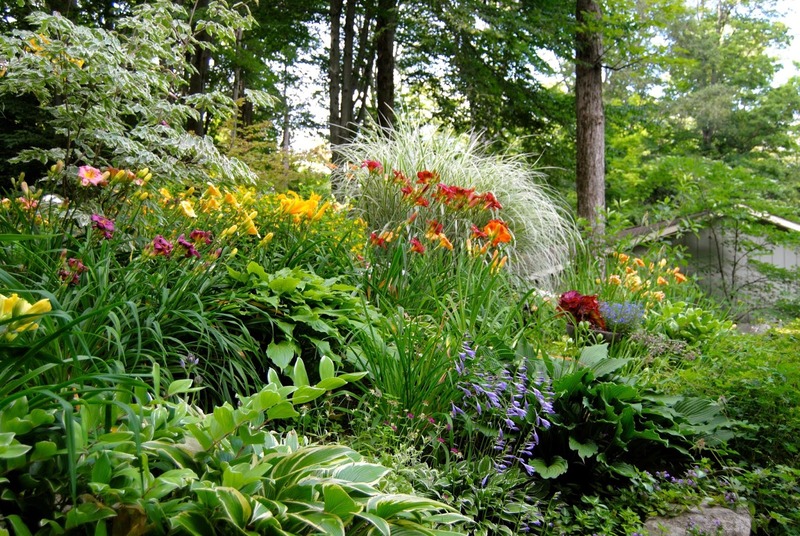 A two-day weekend garden tour in some cities will cost $35-$75 or more for one weekend of touring. This is eight days of open gardens to visit! What I've done here is featured one garden from each of the 12 "clusters" of gardens there are to be viewed, add to that, I haven't seen them all yet, and what I have here is a list of great gardens that I've been to, of which I also happen to have photos. You'll have to visit on your own and determine your own favorites, and take your own photos! Smug Creek Gardens on Zimmerman Road in Hamburg. Okay, there's lots of great gardens of Eden (ha! see what I did there? ), Orchard Park, and Hamburg, but one that should be at the top of your list is Smug Creek Gardens. Hosta speaker circuit pros Kathy Shadrack, and that guy that follows her around, Mike Shadrack, have either penned or photographed their own books, she wrote The Book of Little Hostas, he co-wrote and photographed The New Encyclopedia of Hostas and the Timber Press Pocket Guide to Hostas. Mike, the former London Bobby, and Kathy, an avid daylily collector, have a garden worth traveling to – no matter the distance. Wear your sneakers, it's a gardener's garden with many "regions" to wander from shaded forest, to sunny hillside, with meandering paths and an ever-growing collection of garden art. 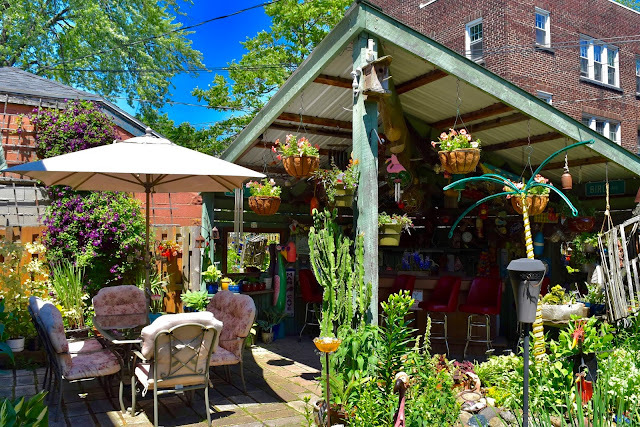 There's eight other gardens to see in this cluster in the Southtowns – where you'll see everything from a railroad miniatures garden, another hosta hoarder's collector's garden, and much more. Postage-stamp size gardens provide challenges, but Steve Bellus was more than up for the task. 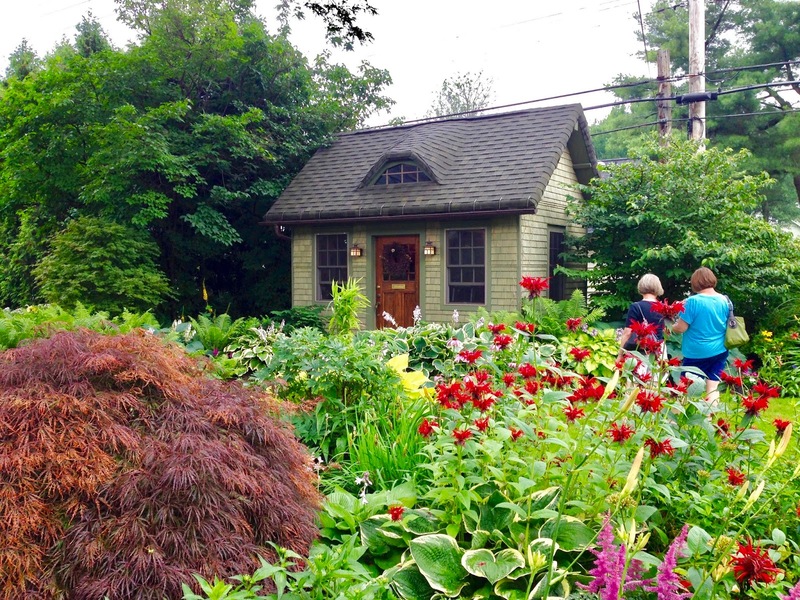 His diminutive jewel box of a garden is on Lancaster Avenue - a street with great gardens up and down. 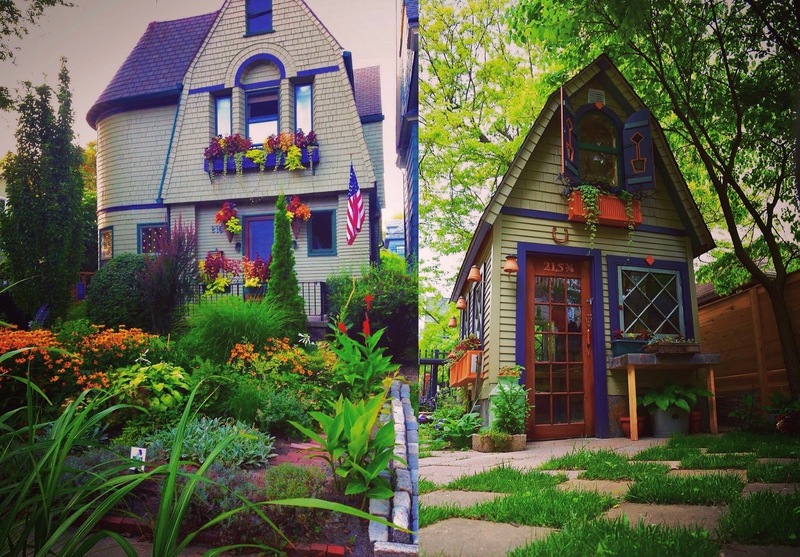 Located just a few houses in from Buffalo's Elmwood Avenue, he'll get between 2,500 and 3,000 visitors the weekend of Garden Walk Buffalo. Ask him about the two deer he found in the back yard in June! (I think they got lost shopping on Elmwood Avenue). There are four gardens on Lancaster Avenue to visit – and don't miss the Adams garden in this cluster, just a couple blocks away on Auburn. It's another tiny garden brimming with creative touches. For this cluster, you can actually park and walk from one garden to another. The Ballard Olinski Garden on Bird Avenue in Buffalo. You'll be visiting the tropics when you visit the the Ballard Olinski Garden on Bird Avenue in this cluster of garden stars. Gordon and Brian (we accidentally renamed Gordon "Buffalo Ballard" in the Open Gardens Guide, a Freudian slip for sure). They have a collection of dahlia, and what may be the largest collection of tropicals outside of the Buffalo Botanical Gardens. If you do visit, maybe you can help answer the eternal question - Is that a tiki bar, or a cantina? And sorry, the bar may well be closed during your visit. This cluster of seven gardens is worth your visit – you'll see a bowling ball totem pole sure to make you smile, and you can stop in the garden of GardenRant.com's Elizabeth Licata. If you're not familiar with GardenRant.com, go there now and find out what the garden "lifestyle" magazines are NOT talking about. The Coyne DiNezza Garden on Darwin Drive in Snyder. The Darwin Drive home of the Coyne DiNezza garden is a site to behold. The curve-edged roof of the stone English cottage home is echoed in the charming potting shed you see in the photo above. The gardens use evergreens as a base for its design, creating an atmosphere like few other gardens in this neck of the woods. A must see garden for fans of architecture! 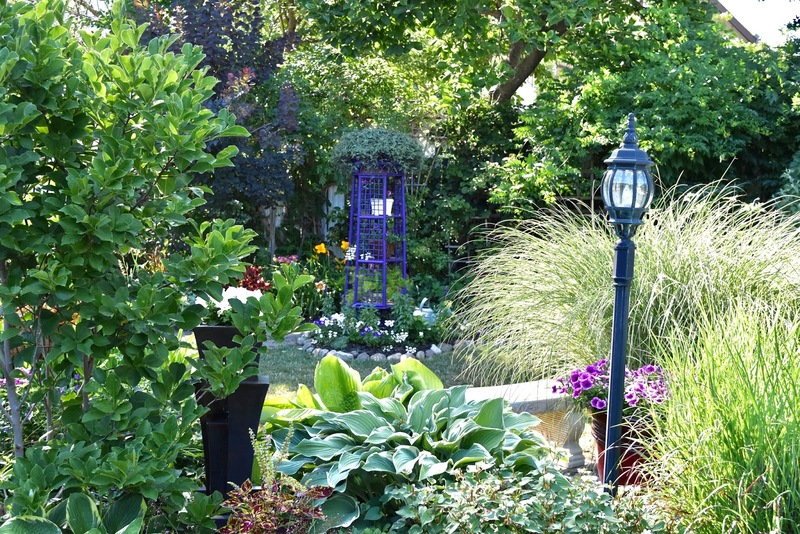 Their garden has been featured in Garden Gate magazine and many other regional publications. There are eight gardens in this cluster, one of which is open until 10 p.m., so you can make a late afternoon/early evening out of this cluster of gardens in Amherst/Cheektowaga/Williamsville. Song 'n Bird Garden on Delaware Road in Kenmore. The "Song 'n Bird Gardens" on Delaware Road has been a mainstay garden for the Ken-Ton Garden Tour and garden themed bus tours for years. The garden of the Blythes is disarmingly large for this neighborhood – hearkening back to when this was farm country. There is great access throughout the garden, and an impressive vegetable garden spread. We chose it for the Tours of Open Gardens Guide booklet cover for good reason. It's got two barns, arbors, a gazebo, two ponds - and its own railroad! On top of all that, it's a Certified Wildlife Habitat. A lawn ornament is their antique car! This cluster of nine Kenmore Tonawanda gardens has five gardens that open at 2 p.m. and two that are open until 10 p.m. You can make it a nice long tour. The Krebs Garden on Iwrinwood Road in Lancaster. You think you've done some great reuse and re-purposing of items in a garden? 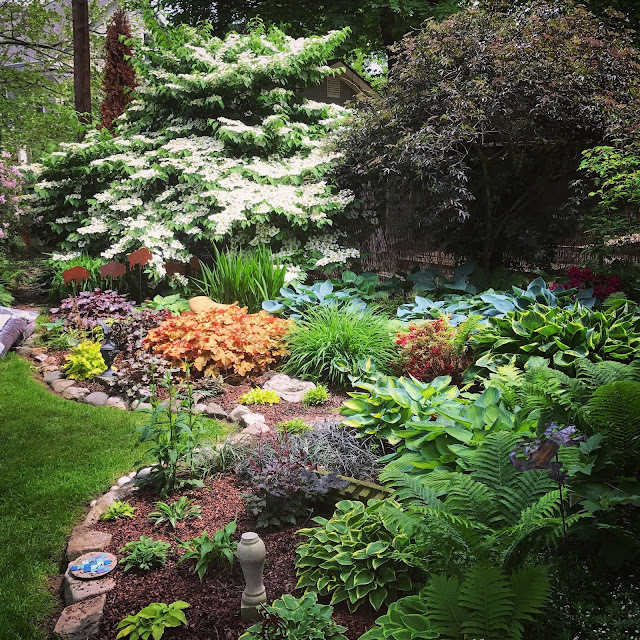 You haven't seen anything like the Krebs garden on Iwrinwood Road. Ron and Kathleen have made it an art form. Quite literally. No piece of metal, glass, furniture, tools, driftwood, or bassinet is protected from becoming part of their stagecraft and craftiness. Here, one man's trash is another man's garden art. You'll be enthralled by the birdhouses and feeders made from everything but birdhouses and bird feeders. A coffee can, funnel, and a finial, with a bit of spray paint becomes a birdhouse. A bowling ball on a newel post, painted together look like high-end garden statuary. The five gardens in this cluster are open only on Thursdays. There's one new one this year I've never been to. Now I have a new goal. The Kurbs Garden on Locust Street in Lockport. 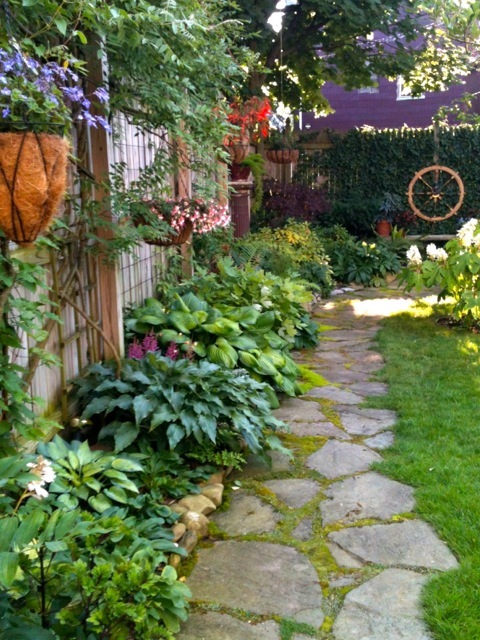 Have you ever walked into a backyard garden and feel like stress has left your shoulders? When the feeling you get from a garden just makes you want to say, "Ahhhhh.."? That's what it's like to enter the Kurbs Garden on Locust Street in Lockport. Instant vacation. the immense lawn is accentuated with garden art, a wooden pirate ship playset and a collection of rough-hewn birdhouses make you want to just sit in that chair in the photo looking around until a nap comes on. The lead photo of this post is from the DiMino garden on Sharon Drive in Lockport – another creative garden that qualifies as a staycation. There are only four gardens in this cluster open on Fridays. Check the hours though, they're not all the same, but they do overlap. The Hough Sako Garden on Richmond Avenue in Buffalo. Where to begin? This was probably the hardest cluster where I challenged myself to feature just one garden. Most are friends. Two belong to either the current, or past chair of Garden Walk Buffalo. Do I stick with my favorite garden on the Walk (20 Norwood? ), the much photographed, colorful one with the colorblind gardener on my old street (84 Sixteenth Street), or the house I rented and lived in for four years in the late '80s, early '90s (402 Summer Street)? 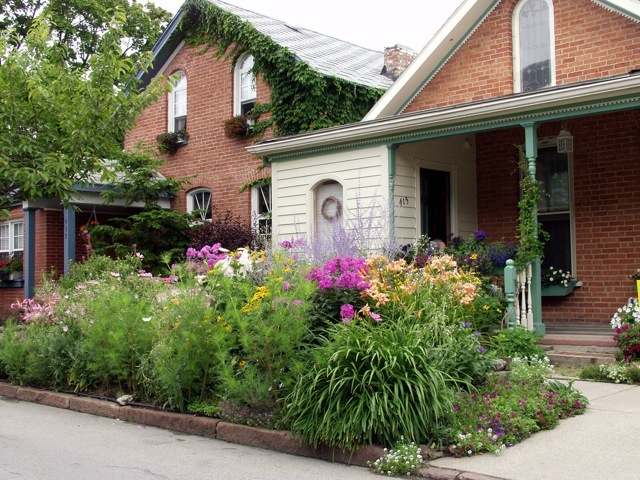 Or the Little Summer street garden (415 Summer Street) of Garden Walk's greatest advocate (and home to Buffalo's most beautiful hellstrip)? I'm gonna' go with the garden of Sue Hough and Miro Sako. Sue is the current chair of Garden Walk Buffalo. Their garden, started when their two girls younger, is a creative and colorful retreat. Around every shrub is another creative creation by Sue & Miro. I cannot wait to see what original project they've been working on for this year's Walk. 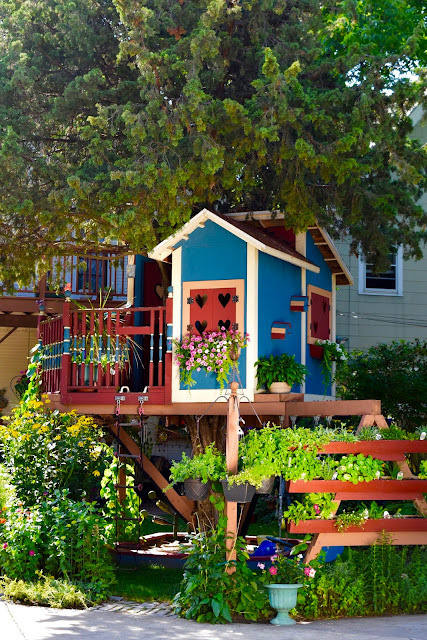 But without question, the star of the garden is the tree house of every little girl's fantasy. Of the seven gardens in this cluster open on Fridays, I've only not seen the new one at 87 Sixteenth Street. I'll be remedying that. The Macciaccio Garden on Rutland Street in South Buffalo. 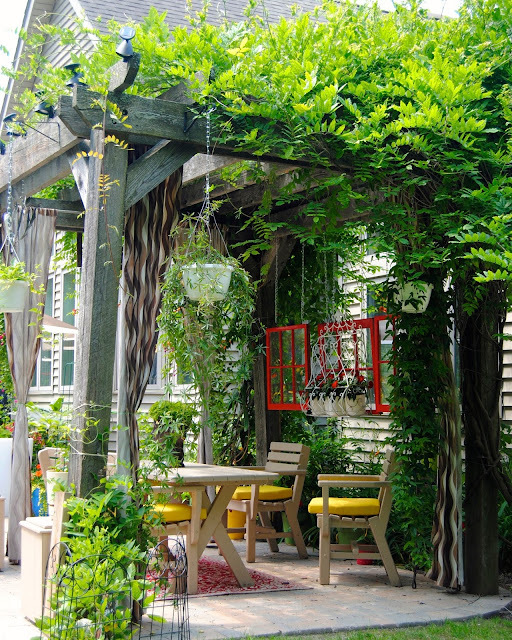 The Macciaccio Garden on Rutland Street's entrance is through their grape-vine covered patio. My first visit there was a revelation. Sharon's garden, modeled on all the gardens she's loved to visit on Garden Walk Buffalo over the years, is the epitome of a Buffalo-style garden. Some creative re-use of found art, juxtaposition of plants based on her preferences and experiments, rather than what she's been told to do. There's no way you won't want to sit on the swinging bench and take it all in for a few minutes. Don't miss the Mahoney garden on High View. Pat's an architect (and a Frank Lloyd Wright scholar) with an impressive collection of daylilies and an even greater collection of rocks, bricks and other architectural remnants of Buffalo buildings, many of which are incorporated into his garden. How many people can say they have parts of the Larkin Adnistration Building in their garden!? There's only four gardens in this cluster, and they're relatively small, so you'll want to marry this grouping with another Friday cluster. The Hajnosz Garden on Columbia Avenue in Hamburg/Lakeshore. 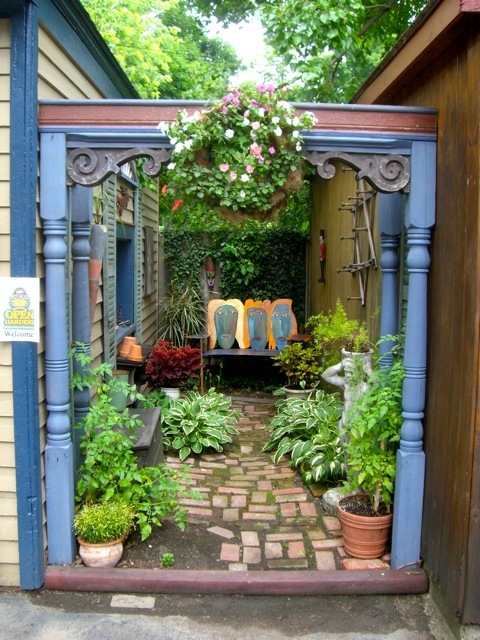 Don't let the front of the Hajnosz Garden on Columbia Avenue scare you off. What looks like a typical front yard in their neighborhood leads to one of the regions' most special gardens. Plant collectors and itinerant garden experimenters, both John And Carole are the garden masters here. They have more than 300 varieties of hosta. That's just varieties, not plants. Carole grows hosta from seed. I didn't even know you could grow them from seed! The one-acre, 25-year-old garden has dozens of ornamental, and fruit trees, and mini, dwarf, and standard conifers all along meandering paths. 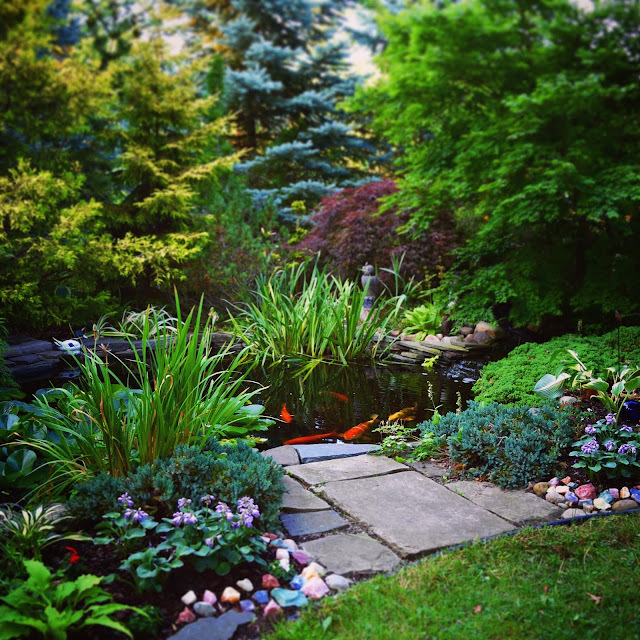 The property backs up to the Wanakah Country Club – another Open Garden you can visit! Don't miss the Conlon Garden on Lakeshore Road, it's right on the lake – you'll get a great view of downtown Buffalo and vistas south, wonderfully creative and clever gardens, and see Buffalo's most beautifully planted berm. This cluster has five gardens. Is open on Fridays from 5-8 p.m. It could take all that time to appreciate them all properly. The Charlier Garden on Lancaster Avenue in Buffalo. And It wouldn't be me, if I didn't recommend my own Lancaster Avenue garden which can be found in the Delaware District cluster of gardens. It's one of the only gardens to come with its own in-house design/marketing/press relations firm – me. Recently featured in an eight-page spread in This Old House magazine, the 16-year-old garden of the 1897 Dutch Colonial home features a magical potting shed, potager garden, hanging succulent garden, checkerboard garden, a Harry Potter Garden, a marble and granite scrap "carpet," a copper coral bell fountain, a multi-level deck with hot tub, a diamond-shaped espalier of dwarf pear trees, and much artwork. My apologies– I have no photos of the gardens in these groupings. It's my goal to remedy this this season! Get your Tours of Open Gardens and Garden Events Guide booklet – and keep it in the glove compartment. It has become the great girlfriends’ or date getaway for lovely summer days. The gardens are beautiful, there are no crowds, and the gardeners are friendly if you want to ask questions. We made it easy to plan your self-guided tour, with a map showing the gardens, color-coded clusters. You’ll have eight days to visit (or re-visit!) the gardens throughout the month. You’d be hard-pressed to find a more unique garden tour at this price. The Tours of Open Gardens and Garden Events Guide is available, for a $5 donation, at the retail outlets listed below.